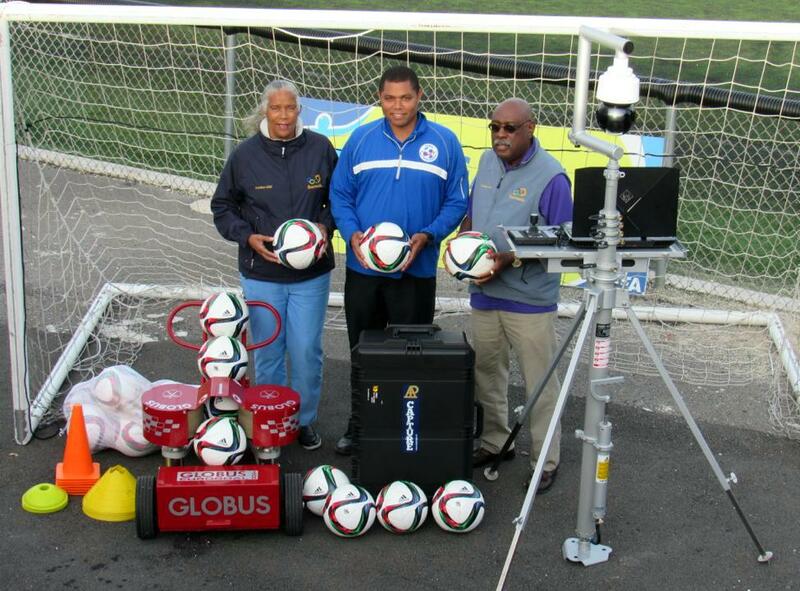 The Bermuda Olympic Association (BOA) announced that, with its support, the Bermuda Football Association (BFA) has been able to purchase a Globus EuroGoal 1500 football training machine and AP Capture imaging equipment and software. The purchase of the new equipment was funded through the BOA’s partnership programme with the Pan American Sports Organization (PASO) that makes new equipment available to qualifying national sports federations free of charge. The Globus EuroGoal 1500 is an exceptionally maneuverable, sophisticated football training machine that shoots footballs at high speed with various trajectories to aid in the training of goalkeepers, defenders and strikers. The AP Capture imaging solutions system comprising a camera, joystick controller, portable telescopic sports mast and special software, will provide the BFA with the ability to capture, analyze, and present footage to players for learning and training purposes, and to provide footage of players in action to support college applications.